napafood – It's Wine By Me! FOR BREAKFAST OR BRUNCH: Boon Fly Cafe. Located on the edge of the Carneros Inn, on Sonoma Highway as you start to escape Napa, this is one of those places that on a weekend morning, you’ll be sure to see a line waiting outside to be seated. Fortunately, there was a single spot at the bar which I seized immediately. The food came out quickly, which is always appreciated when you have a full day of activities planned. More importantly it was delicious! 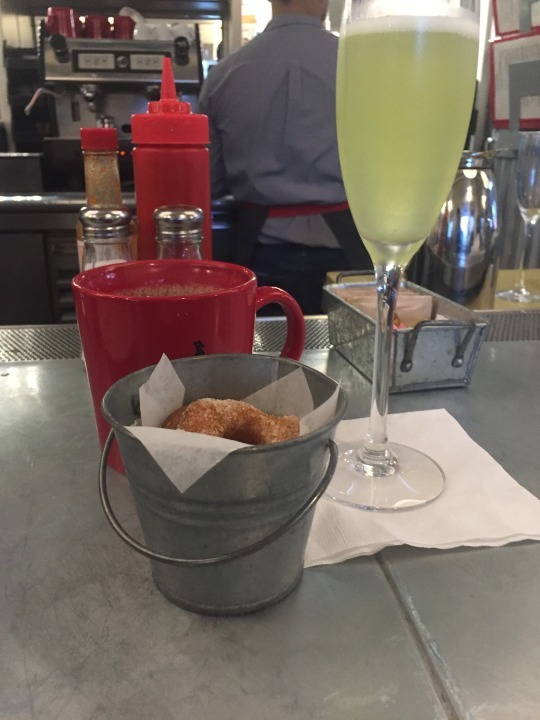 Fresh melon mimosa with mini donuts. Coffee for good measure, too. 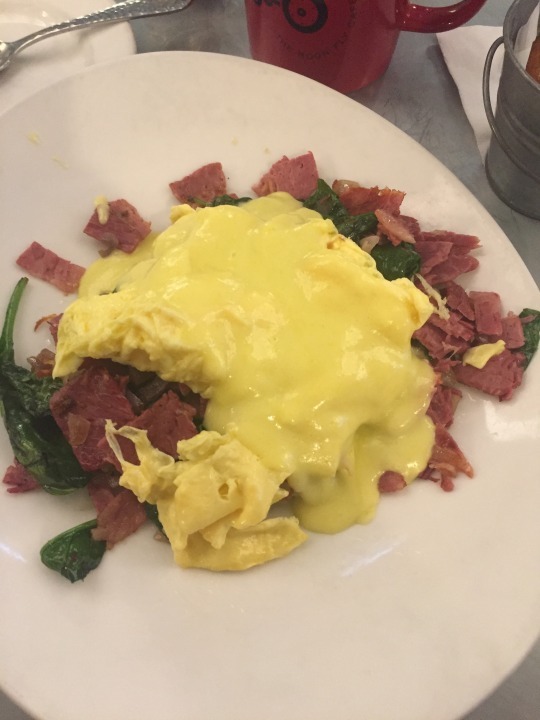 If I hadn’t already splurged enough, the Corned Beef Hash with spinach and jalapeno hollandaise was amazing. Note: they didn’t even blink when I asked for scrambled eggs instead of a poached one. In other words, the dish as prepared is probably much prettier than this pic. 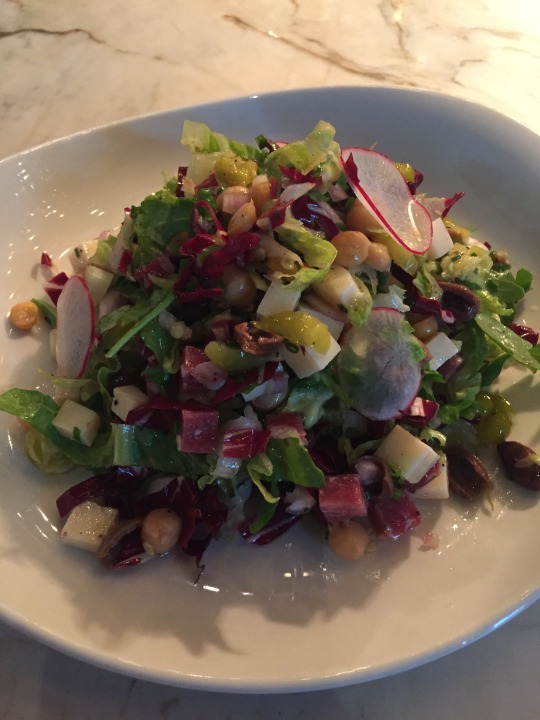 I’ll let the picture of this beautiful chopped salad speak for itself. Not very long after, the pasta appeared. Again, I’ll let the picture speak for itself. It was everything I wanted it to be and more (and so were the leftovers the next morning!). FOR DINNER: Glen Ellen Star. 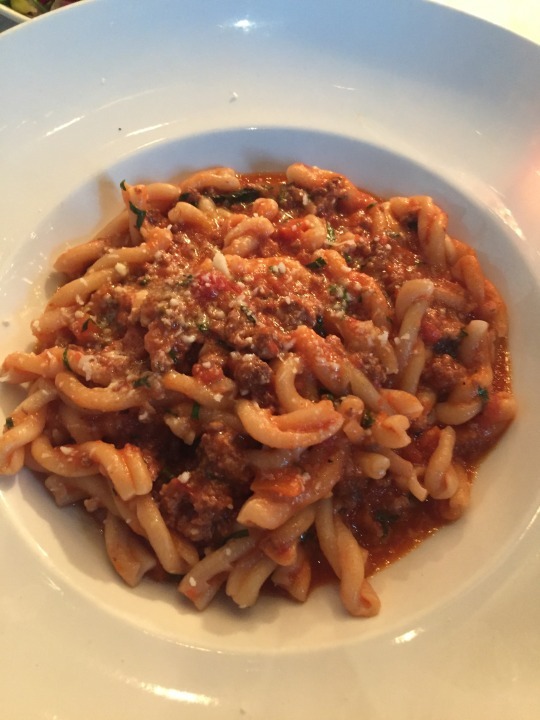 One of the things I adore about this restaurant nestled in the tiny Sonoma County hamlet of Glen Ellen is that it’s perfect for a quiet meal with someone you love, but also has the perfect counter for the solo diner. You’re up-close enough to the open kitchen that asking a question of the chefs is a little too easy to do. 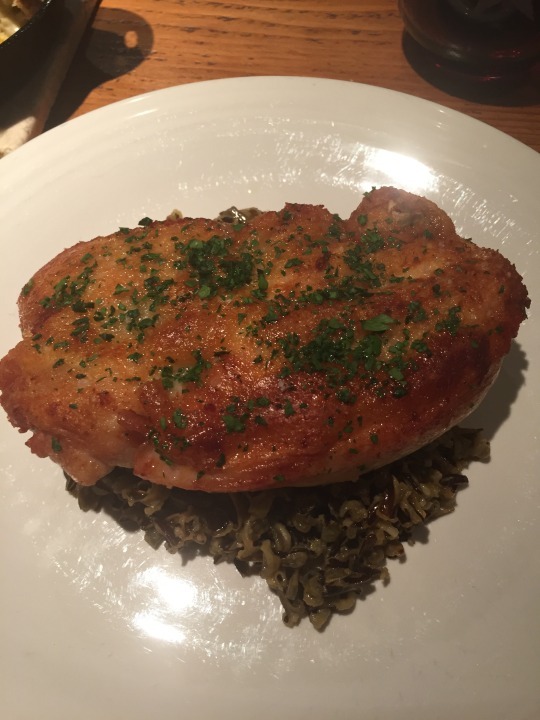 Known for its beautiful wood hearth, I had heard good things about the vegetables, so I immediately ordered the cauliflower and then selected the brick chicken. Both were as amazing as they look. I topped the meal with some of their homemade ice cream and swore up and down I’d be back on my next visit. 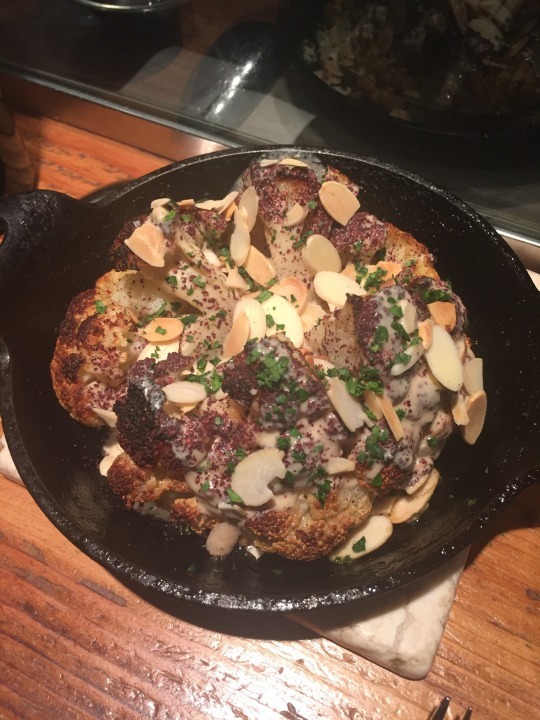 Cauliflower, tahini, almonds and sumac straight out of the wood oven. Brick chicken, also from the wood oven.